I heard the salesman " andy " is still in this line but selling PI commercial vehicle... his wife working in goldbell leasing... a rental company for lorry... did they divert the scam to commercial already? SINGAPORE - A 35-year-old man was jailed for 10 years on Friday (Feb 17) for his involvement in what is likely to be the largest cheating case in the car industry to date, involving the heftiest losses - $6,163,772. In all, 182 people were cheated between May and December 2014. Koh Chek Seng pleaded guilty to 17 counts of cheating and one count of each of converting and transferring benefits of criminal conduct. He also admitted to one count of removing benefits of criminal conduct from jurisdiction. In March 2014, Koh Chek Seng and two alleged accomplices - Alvin Loo Mun Yu and Jason Koh Chi Kang, both 36 years old - had a discussion on how to earn cash by setting up a company dealing with parallel import cars. Deputy Public Prosecutor (DPP) Ng Jean Ting said Jason Koh then suggested that if the company failed, the Singaporean trio would flee with customers' deposits and close the company to make it appear as a failed business. A company known as Volks Auto was formed on April 1 that year with Loo as the sole director and shareholder. The company had two bank accounts and he was the sole authorised signatory of both of them. The following month, the firm began operations at a showroom at MacPherson Road. Koh Chek Seng then arranged for the vehicles including a Mercedes E-Class and a Porsche Boxter to be placed there. Several sales staff were also recruited. DPP Ng said: "Through the trio and the recruited salespersons, it was represented to the customers that the company will procure the cars ordered through direct imports into Singapore. "Although customers placed orders for cars and made their deposit payments to the company, no effort was made to fulfil these orders." The court heard that Jason Koh and Koh Chek Seng received payouts from Loo for their roles in the conspiracy, with the latter earning at least $450,000. None of the victims received the cars they ordered and the trio fled Singapore before the first police report was made on Dec 13, 2014. By Dec 16 that year, one of the company's bank accounts was cleaned out while another was left with only $4,138.98 inside. Koh Chek Seng returned to Singapore on Dec 23, 2015 and was arrested at the airport. His two alleged accomplices remain at large and to date, no restitution has been made. For each cheating charge, he could have been jailed up to 10 years and fined. A parallel car importer in Woodlands Close, Royal Automotive, has closed down, affecting at least 13 buyers. They are owed about $600,000 and have been unable to reach the company's director or staff in the past two months. The firm made headlines in November 2016, when its former sales representative was charged with misappropriating $414,564. The Consumers Association of Singapore (Case) received six complaints against the firm, in Ang Mo Kio Street 62, between September and December 2015, and 15 complaints between January and October 2016. The firm made customers pay a deposit "for guaranteed COE bidding and delivery of a car", but when it failed to secure the COE, it would not provide a refund of the deposit. While general manager Glenn Koh said it was all a "misunderstanding" and the problems have been "settled amicably", Case said some cases remained unresolved. Some consumers have also taken matters to the Small Claims Tribunal. 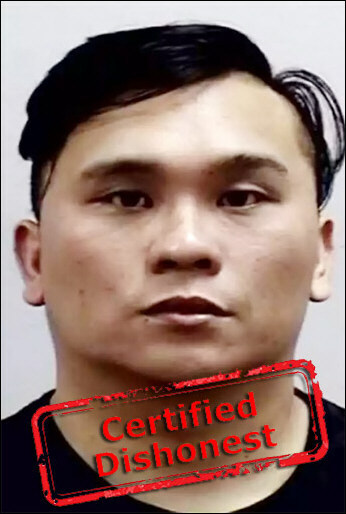 Koh Chek Seng, 35, was jailed for 10 years in February for his involvement in what is probably the largest ever cheating case in the car industry, involving $6,163,772. Between May and December 2014, 182 people were cheated by Koh and two others, who set up a company dealing with parallel import cars at a showroom in MacPherson Road. Customers placed orders and made deposit payments, but no effort was made to fulfil these orders. The trio planned to flee with the deposits and close the company to make it appear as a failed business. In December 2015, the second-hand dealer located in Turf City sold a 6 ½-year-old Nissan Presage to Madam H.M. Peh, 35, and her husband for $59,000. Its odometer showed it had clocked 75,000km. But the car developed mechanical problems within a month. A check with authorised Nissan agent Tan Chong revealed the car had clocked almost 200,000km. The dealer denied knowing the odomete had been tampered, and agreed to take back the car for $56,000, but did not pay up. Madam Peh sued them and secured a compensation of $20,000. The firm's de facto boss Poh Chee Tiong was jailed for seven years in 2016. He cheated 71 buyers, 14 sellers and four finance companies out of a total of $3.16 million in money and cars. From a Lexus GS300 and a Porsche Boxster to a Geely CK and a Chery QQ, a range of cars paid for by 50 buyers between January 2013 and February 2015 were repossessed by finance companies. The second-hand cars had not been registered under the buyers' names, as part of Poh's plan to expand his business and fleet of cars, and also increase its cash flow. Last October, The Straits Times reported that some customers of parallel importer Exodus Global made police reports after they did not receive their cars, despite paying for them. At least seven customers paid $493,470 to the Ubi Avenue 3 firm since October 2015, with four of them paying the full downpayment. Its director Andy Chin said that the firm was experiencing financial difficulties, according to three customers. The firm located at Turf City, closed its doors in November last year, leaving customers in the lurch, still waiting for their vehicles after placing deposits. At least 10 customers are affected, along with fellow motor company Auto Lease. TLC, it said, bought a Honda Vezel from it for about $36,000 (before COE). TLC paid about $6,000, took delivery of the car, but has made no further payment. Auto Lease had also secured several certificates of entitlement (COEs) on TLC's behalf.